The 59th (2nd Nottinghamshire) Regiment of Foot was an infantry regiment of the British Army, formed in 1755 in response to the threat of renewed war with France. It was amalgamated with the 30th (Cambridgeshire) Regiment of Foot in 1881 to form The East Lancashire Regiment as part of the Childers Reforms. 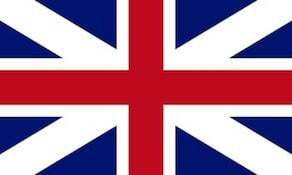 In 1754 war broke out between Great Britain and France. As a consequence of what would eventually become the Seven Years’ War, the size of the British Army was increased. On 23 December 1755 Lieutenant-General Sir Charles Montagu raised the 61st Regiment of Foot in the counties of Leicestershire and Northamptonshire. Following the disbandment of two junior regiments, the 61st was renumbered as the 59th Regiment of Foot in the following year. Shortly after its formation, the regiment moved from England to Ireland, where it performed garrison duty until 1763. In that year the 59th Foot sailed to Nova Scotia where they remained until 1772 when they stationed in Boston, Massachusetts. The 59th were in Boston when the American War of Independence broke out, and suffered severe casualties. The remains of the regiment returned to England in 1776 to reform. In 1782, the closing stages of the Anglo Spanish War, the 59th were assigned to the Gibraltar garrison, remaining there for ten years. From 1792–1794 the regiment was based in England and the Channel Islands. In 1782 all regiments of the line without a royal title were given a county designation and the regiment became the 59th (2nd Nottinghamshire) Regiment of Foot (the 45th Foot being designated the 1st Nottinghamshire). With the outbreak of war with revolutionary France, the 59th formed part of the British force dispatched to Flanders, arriving in 1794. The campaign was a major reverse for the British and their allies, and the regiment was evacuated back to England in 1795. Later in 1795 the 59th Foot sailed to the West Indies, where they were to remain for seven years. They were stationed in Saint Vincent, where they suppressed uprisings by the Maroons. They returned to England in 1802. In August 1804, while stationed in England, a second battalion of the 59th Foot was raised. The 1st Battalion sailed in the following year for the Cape of Good Hope, while the 2nd Battalion was to remain on garrison duty in England, Ireland and the Channel Islands until 1808. The Cape of Good Hope, which had been captured by the British in 1795, had been returned to the Dutch under the Treaty of Amiens. On 7 January 1806 the 1st Battalion of the 59th was part of a brigade that landed on the cape, and within two days the Dutch forces had surrendered. Although the regiment suffered only light casualties (two dead and six wounded) this was to be the 59th’s first battle honour. The 2nd Battalion, meanwhile, sailed for Spain in 1808. On 16 January 1809 it took part in the Battle of Corunna, a British tactical victory which allowed for the evacuation of their forces from the Iberian peninsula. From England, the battalion was dispatched to the Netherlands in July 1809, taking part in the fruitless Walcheren Campaign. The unit was to remain in England and Ireland until 1812. From the Cape, the 1st Battalion sailed to India. In November 1810 the battalion took part in the invasion of Mauritius. In the following year they invaded Java. They remained in Java until 1815, when they returned to India. In 1812 the 2nd Battalion returned to Spain. They took part in the Battle of Vittoria (June 1813), the Siege of San Sebastián (July – August 1813), the Battle of the Bidassoa (October 1813), the Battle of Nivelle (November 1813) and the Battle of the Nive (December 1813). From France the 2/59th had sailed to Ireland. When Napoleon returned to France, triggering the “Hundred Days”, the battalion was part of the British force dispatched to Belgium. While they were present in the Waterloo area, they did not take part in the hostilities. Having formed part of the army of occupation in France, the 2nd Battalion returned to England in 1816, where they were disbanded. On the disbandment of the 2nd Battalion, the 1st was redesignated simply as the 59th (2nd Nottinghamshire) Regiment of Foot. The unit moved from India to Ceylon in 1817, returning to India in the following year, where it fought in the Third Anglo-Maratha War. In 1825–1826 they took part in the siege and capture of the Jat fortress of Bharatpur (awarded as the honour “Bhurtpore”). The regiment returned to England in 1829. For the next twenty years the 59th was engaged in garrison duties in England, Ireland, Malta and the West Indies. In 1849 they sailed to China to become part of a small force enforcing the terms imposed on China following the First Opium War. In 1856 Britain deemed the terms of the treaty to have been broken, and the Second Opium War commenced. In January 1858 the 59th Foot, along with members of the Royal Marine Light Infantry and the Royal Navy occupied the city of Canton. In 1858 the 59th Foot moved to South Africa, subsequently returning to the United Kingdom in 1861. From 1867 – 1878 the regiment again served in India and Ceylon. From India the 59th crossed into Afghanistan in November 1878 as part of an invasion force, seeking to stem Russian influence in the region. In April 1880 they fought in the Battle of Ahmed Khel. Later in 1880 the 59th Foot returned to England. Under the “localisation scheme” of the infantry carried out by Edward Cardwell in 1873, the 59th foot had been paired (or “brigaded”) with the 30th (Cambridgeshire) Regiment of Foot. The two regiments recruited in a single “Brigade District” forming part of Lancashire and shared a depot at Burnley. On 1 July 1881 the process of amalgamation was completed when the Childers Reforms came into effect. The 30th and 59th Foot became the 1st and 2nd Battalions of the East Lancashire Regiment. Following a series of amalgamations, the lineage of the 59th is now continued by the Duke of Lancaster’s Regiment. The 59th Foot was awarded the following battle honours to be borne on the regimental colours. The year in brackets is the year of the award of the honour, not of the action it commemorates.